I must admit to never having read American author Francesca Simon’s very British-flavoured ‘Horrid Henry’ series, but I did recently flick through a book or two, and can see several reasons why Simon’s amusing characters and Tony Ross’s accompanying illustrations are so popular. So why on earth make a live-action 3D film with a cast who bear no resemblance to the illustrated characters in the books? Still, anyone unaware of the film’s roots will remain none the wiser and will probably find some semblance of entertainment in the film’s rascally pranks, the primary-colour palette and some of the more imaginative visual effects. It’s unclear which particular book the film was inspired by, suffice to say it involves prankster Henry (Theo Stevenson) disrupting the day of Anjelica Huston’s caricatured Miss Battle-Axe and foiling a corrupt school takeover bid by Richard E Grant’s dastardly Vic Van Wrinkle. 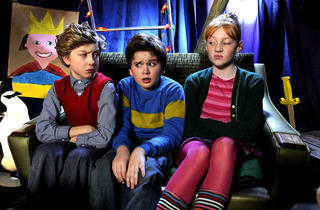 ‘Horrid Henry’ is indelibly flawed and disorderly in tone but not devoid of rambunctious charm. hi i got the dvd on the tv because i all ways watch a dvd befor i go to bed i love it and if some one dose not like it they are crazzzzzzzzyyyyyyyy but me and my 5 years old sister loves it to when my dad says what do u want to watch we both want to watch tonight ...... HORID HENRY THE MOVIE!!!!!!!!!!!!!!!!!!!!!!!!!!!!!!!!!!!!!!!!!!!!!!!!!!!!!!!!!!!!!!!!!!!!!!!!!!!!!!!!!!!!!!!!!!!!!!!!!!!!!!!!!!!!!!!!!!!!!!!!!!!!!!!!!!!!!!!!!!!!!!!!!!!!!!!!!!!!!!!!!!!!!!!!! i dont understand the bad reviews - i loved it! it was very funny!!!!! The reason harry potter has gone so far is that it hasn't been animated on TV. JK Rowling has animated it in our minds, there is alot of contrast between Harry Potter and Horrid Henry; Harry Potter is allot older and Horrid Henry is full of colour and for the younger audience. The film is good and you can regognise the characters it is full of colour the plot however tries and it is good. Adults shouldn't be reviewing it as it is a childrens film. 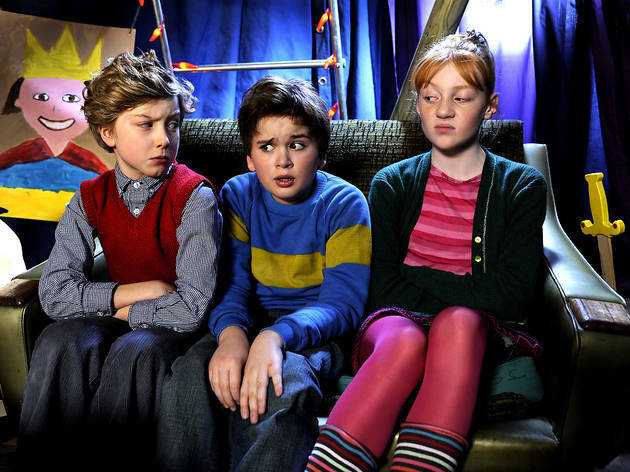 It's a lovely heart warming film, Theo Stevenson, Ross Marron and Scarlett Stitt do their best to portray their characters! this film was very disappointing, my son was looking forward to seeing it but fell asleep 30mins in the film wat a shame, waste of tym an money. I was very disappointed with this film! It is not like the cartoon characters! I would not recomend it!